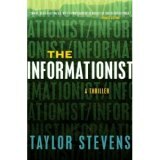 Vanessa "Michael" Munroe, the protagonist of Taylor Stevens' debut thriller "The Informationist" (Broadway paperback, 336 pages, $14.00) isn't a Ms. Keen, tracer of lost persons (If that reference rings a bell, you're on Social Security! Or you're a younger person who's studied the golden age of radio). She deals in information, expensive information, and works as an independent contractor for corporations, heads of state and anyone who can afford her expensive rates. So she's conflicted when Houston oil billionaire Richard Burbank wants the Dallas-based child of missionaries -- she was born in Africa and speaks 22 languages and dialects -- to find his stepdaughter Emily, who was 18 when she vanished four years ago while traveling in a particularly dangerous part of Africa. Munroe is reluctant to accept the job, brought to her by her older friend and agent Kate Breeden, saying it's not what she does. She decides to accept the job because it reminds her of her own experiences as a teenager in Africa. Like Stieg Larsson's Lisbeth Salander of the Millennium trilogy, twenty-something Munroe is attractive in an androgynous way. She's also fearless, a dangerous trait where she's heading to find what happened to Emily and the two men she was traveling with. (I'm wondering what kind of parents would allow their 18-year-old daughter to go to one of the most dangerous parts of the world; probably the same kind who would allow their 18-year-old daughter to travel to Aruba on a spring break excursion). Despite having restrictions placed on her freedom to investigate, including having to put up with up with her Burbank-imposed minder, security expert Miles Bradford, Munroe begins her task. She goes to Europe to check on the two Europeans who were with Emily in Equatorial Guinea when she disappeared. As the book progresses, Munroe is reunited with an old lover, Francisco Beyard, and comes face to face with the corruption and danger of failed states she knows so well from her recent childhood. To say more would be a spoiler, but I believe Stevens has drawn on her experiences growing up all over the world -- including four years in Africa -- in the seriously dangerous Children of God cult -- to create a truly memorable character in Vanessa "Essa" Munroe. Bradford and Breeden are also well developed, nuanced characters in "The Informationist" as is Munroe's lover, gun runner and entrepreneur Francisco Beyard. 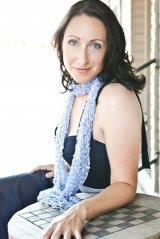 Look for the next Taylor Stevens novel featuring featuring Vanessa Munroe, "The Innocent," from Crown Publishers in 2012. Taylor Stevens was born into the Children of God cult, raised in communes across the globe, and denied an education beyond the sixth grade, Stevens broke free of the cult in order to follow hope and a vague idea of what possibilities lay beyond. She now lives in Texas. Find out more about Stevens on her website: www.taylorstevensbooks.com. Note: This review is of the Crown Publishers hardback edition and was published in March 2011 on another site.